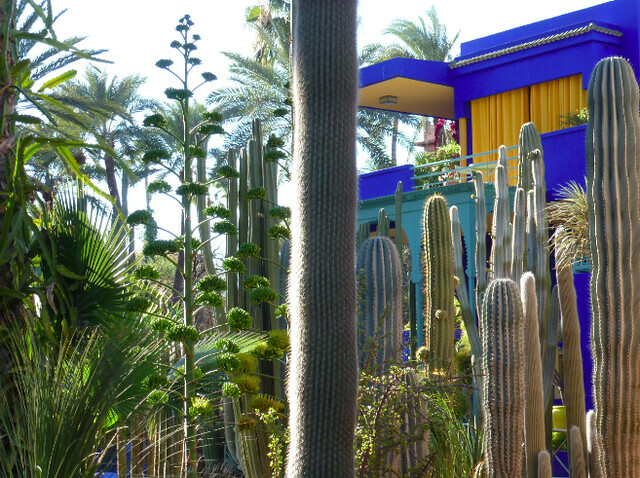 Jardin Majorelle is one of my favorite places in the world. 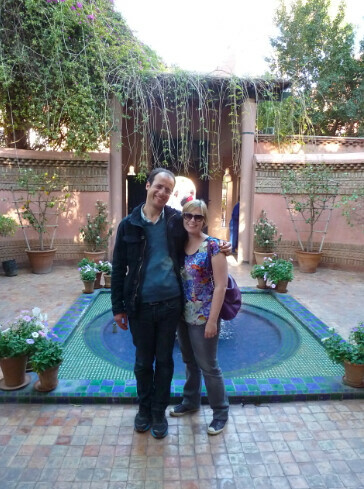 It is so simple and romantic and wandering through the gardens is meditative and relaxing. Not sure why, but it just makes me feel calm and happy. And reflective. 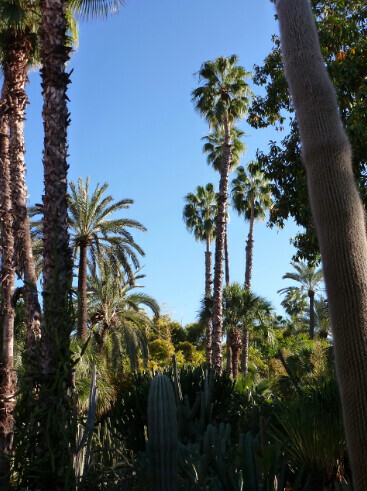 The gardens were created by a French man named Jacques Majorelle, in the 1920s and 30s. Later on, Yves Saint Laurent and his partner owned them, and were passionate about their upkeep. When Saint-Laurent died his ashes were scattered in the garden, and he made sure it would be open for others to admire it well into the future. The graceful garden entrance, complete with a fountain. Different views of the villa in the garden, now a small museum. The garden is full of fountains and reflecting pools. 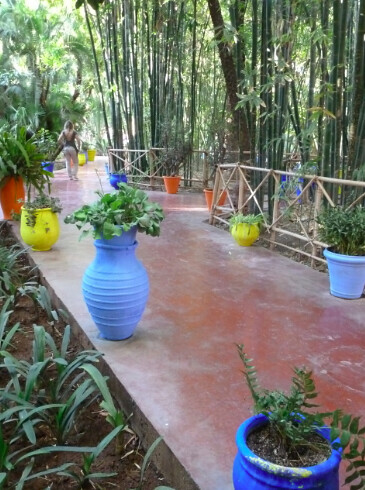 Terra cotta pots painted shades of vibrant blue, yellow, and orange line the paths. 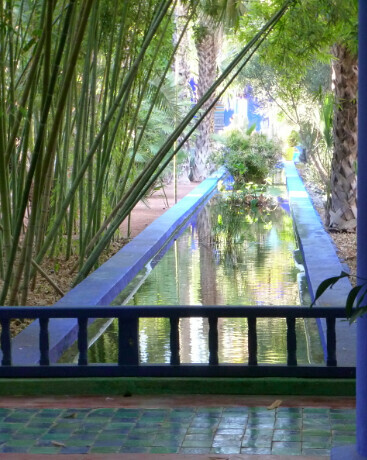 The sky was impossibly blue, as it always seems to be in Marrakech. 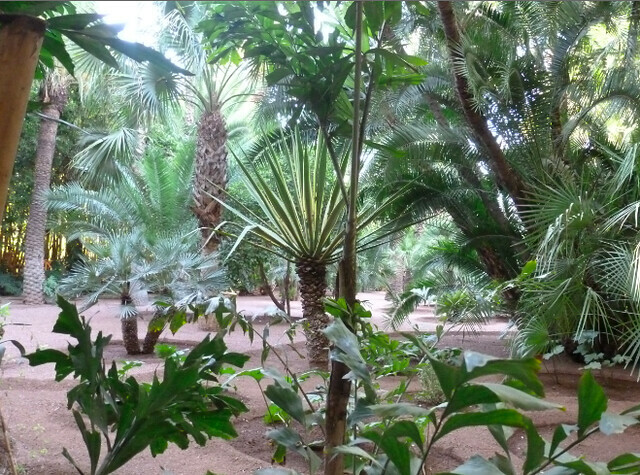 Palms tangle with other trees and shrubs for a lush experience. 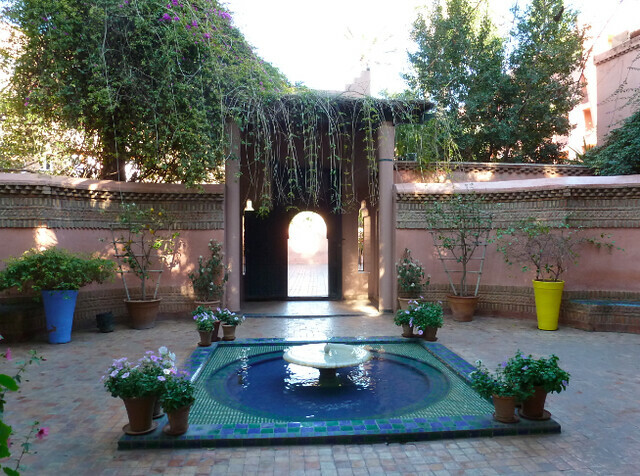 Certainly this is on the top of my "must do" list for Marrakech. I hope you can visit, too. 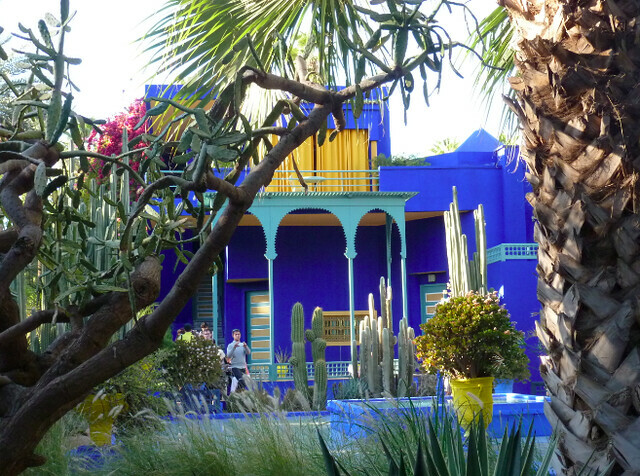 You'll love Jardin Majorelle!